“Time is money” and sometimes worth even more. The time in addition to the money you invest in expanding your business dictates the direction towards the growth. This means coming out of performing repetitive tasks, exploring new ways to reach your target audience and engaging with your existing customers in a better way. This is especially important for those associated with the eCommerce industry where most of the customer journey milestones are mostly repetitive in nature. 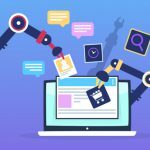 Thankfully, the introduction of automation in eCommerce marketing is making a positive impact on the future of eCommerce. Automation manages to execute simplified processes, tasks, or campaigns associated with your marketing strategies, based on the pre-set criteria or trigger conditions. This article shall cover the importance of automation in the eCommerce industry, different tools for automation implementation, real-world applications, as well as the best practices. Automation is a boon for those who run their online store as a hobby and need to divert their attention to other pressing matters. Running an online store involves you doing tasks that might take only two minutes to complete but by the time you complete all of them, a huge chunk of your energy and time is consumed. The core advantage that automation brings to the table is better time management. Automation eliminates the need to manually perform repetitive tasks. Once you have set-up a foolproof automation, you only check back on it periodically to optimize it. This becomes effective when you follow a marketing schedule, wherein you have a pre-set time to send out a promotional email or a social media post across all platforms or even as simple as taking stock of your existing inventory. Let’s look at how eCommerce automation can be integrated into your daily routine. Right from collecting email address via a pop-up when a visitor lands on your page, sending them different lead nurturing emails, notifying about a purchase, are some of the things that automation can manage. 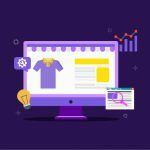 Following scenarios explain in detail, how automation can manage different tasks that are vital to running your online stores. Collect email addresses: Emails are a great way to remain connected to your prospect. Collect them effortlessly by placing a pop-up banner that is automatically displayed after the visitor has spent specific time on the page. When connected to your CRM, the collected email address is automatically added to your mailing list. Schedule your emails and social media: Instead of being triggered you can also utilize automation to schedule certain social media posts and emails. This is very useful when your customer base is a different geographic location than you and you want to target them when they are active. Updating stock/inventory: Instead of keeping track of which product is being purchased by which customer, let the automation take over. The inventory gets automatically updated based on the purchases, the delivery partner is notified about order pickup, and an email is sent to the customer about successful purchase. Moreover, for out-of-stock products, automation disables purchase of the product. Schedule limited time sales: You can set the time period for offering discounts on our products and the automation manages to update the prices accordingly. Additionally, automation can be used to display different prices for a product based on customer segmentation. Automation can also make price adjustments based on the product combinations or quantity criteria set by you. Recommend relevant products: Using recommendation engine, you can utilize machine learning to learn about individual customer’s shopping preferences and suggest them relevant items, upsell or cross-sell other items. Set up reminders or alerts: For subscription-based services or consumables, you can set up reminders in the form of a notification, email or even a text to your customers. Similar, for a drop shipping store, you can set up reminders for products whose stocks are depleted. Believe it or not! You are already using some form of automation in itself for your eCommerce store. The main reason for you adopting one of multiple eCommerce platforms such as Shopify, PrestaShop or BigCommerce is owing to the ease from automation. Yet only your eCommerce platform cannot manage all of your automation requirements and so you need to implement different automation tools. Let’s explore the different kinds of tools you need to implement automation. eCommerce Platform: You have your products stocked in your warehouse but you need an online portal that can showcase your products to your prospects. This is where you need an eCommerce Platform such as Shopify, BigCommerce come into the picture. Set your online store, upload your products individually or upload a .csv file and the platform automatically displays them as per your preferred design. Any changes you do in the backend is immediately reflected in the storefront. Additionally, your platform communicates with other tools via integrations and this acts as the foundation of automation. Operation Automation: Once you have set up shop, it is time to focus on inventory management, track and maintain a record of your employees, task management and oversee your bookkeeping. Inventory Management Tools: Inventory management involves overseeing the in and outflow of products in your business. This is a vital tool in your eCommerce store as any discrepancies in tracking your stock and miscommunication with your suppliers can end you up with either running out or excessive quantity of products. Employee Management Tools: An online store can be run solely or by a team of employees handling different responsibilities. These tools help with tracking and task allotment for your workforce. Finance Management Tools: Running an online eCommerce store brings with it the task of managing your accounts, billing and invoicing. To run your business seamlessly, you need to have up-to-date finance management which can be automated with the following tools. Lead Capture Automation Tool: As we stated earlier, capturing leads is vital from expanding your business point of view. By implementing different email list building methods with below-mentioned lead capture tools, you can surely see a spike in the number of subscriptions. Customer Relation Management tool: Collecting the email addresses of your prospect is pointless unless you put that data into use. A good customer relationship management tool stores all the different information you collect about your customers and helps you to use the information to create a personalized experience for them. Email Marketing Automation: Now that you have a list of your email subscribers it is time to send them automated emails based on pre-set triggers. Just load up relevant email template, specify the dedicated mailing list, set the workflow and you’re done. The following are some of the well-known email marketing automation. Customer Support Automation: A help desk or customer support makes having real-time conversations with your customer possible. Investing in a customer support tool greatly helps in handling multiple customer requests simultaneously. Website analytics: Keeping track of the visits to your website would be difficult manually especially when you have multiple pages. By using tools to automate the tracking process, you get accurate results as well as the effortless collection of your website analytics. Recommendation engine Automation: An integral part of eCommerce store that increases the user experience on all channels, investing in a recommendation engine greatly helps you gain engaged customers. All-in-One tools: These are the ‘Swiss-knives’ of automation tools as they provide most of the above-mentioned functionalities under a single umbrella. Have a rock-solid marketing strategy. Automation is only the vehicle that carries you to the destination (good ROI or high sales, etc.) but the marketing strategy is the road on which the automation runs on. Your marketing strategy determines the trigger conditions, the criteria for generating alerts for the staff and notifies about the on-going customer journey. Understand when to use automation. Automation does everything by the book and may sound robotic to your customer even with merge tags and other personalization tactics. So, you need to understand where you need to implement automation and when to take over the reins. Map out the stages in your customer journey where the automation may be able to help you. Chart out the goals to be achieved by the automation to identify the bottlenecks and eliminate them. Automation cannot differentiate between ‘xyz@gmail.com’ and ‘xyz@gamil.com’. So, routinely clean your contact database for incorrect, duplicate or wrong customer entries. This is beneficial to you for two reasons. You continue providing good user experience to your customers with correct personalization factors as well as reducing any SPAM complaints. eCommerce Automation is a growth-driven machine that helps businesses to expand effectively. When used properly & capably, automation grants you more successful lead generation opportunities, close more deals, while maintaining high customer satisfaction rates. For any form of assistance regarding eCommerce marketing, feel free to drop a message at info@qeretail.com. 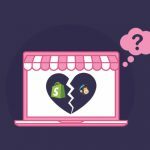 << Previous PostMailChimp and Shopify Breakup – What Should eCommerce Stores Do?